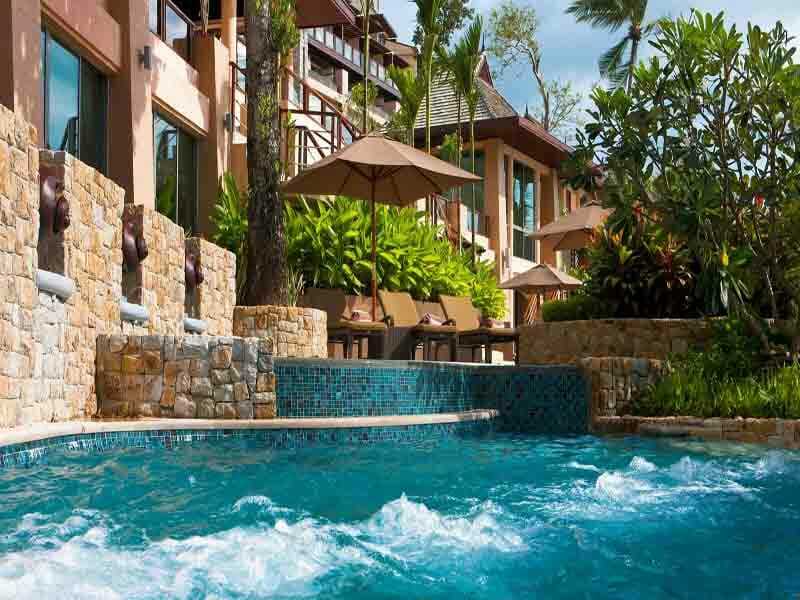 The Westin Siray Bay Resort & Spa is a sprawling tropical paradise set into the hillside of Phuket’s famed east coast. Breathtaking beach views of the calm and secluded Siray Bay greet your arrival at the Westin. We invite you to sit back, relax and enjoy the peaceful aspect, many activities and exquisite restaurants and bars available. This could just be the holiday you’ve always wanted! 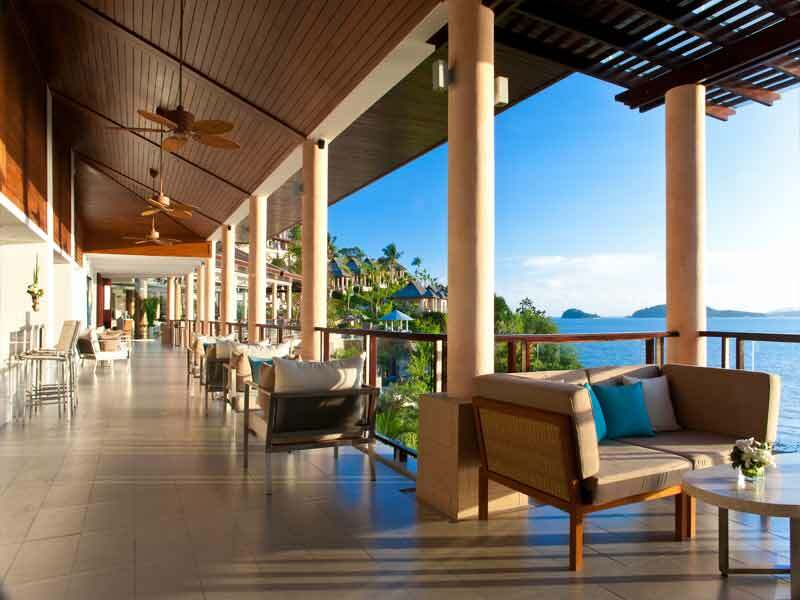 Enjoy Thailand’s best overwater sunsets, indulge in traditional Thai cuisine and if you are not down by the beach, spend your days lounging by 1 of 3 sparkling pools. The beauty of a holiday at the Westin Siray Bay Resort & Spa just keeps getting better! No matter which of the 257 guestrooms you will call home for the next week or 2, each flaunts a private balcony so you can admire the panoramic ocean views and lush tropical isles scattered across the horizon. 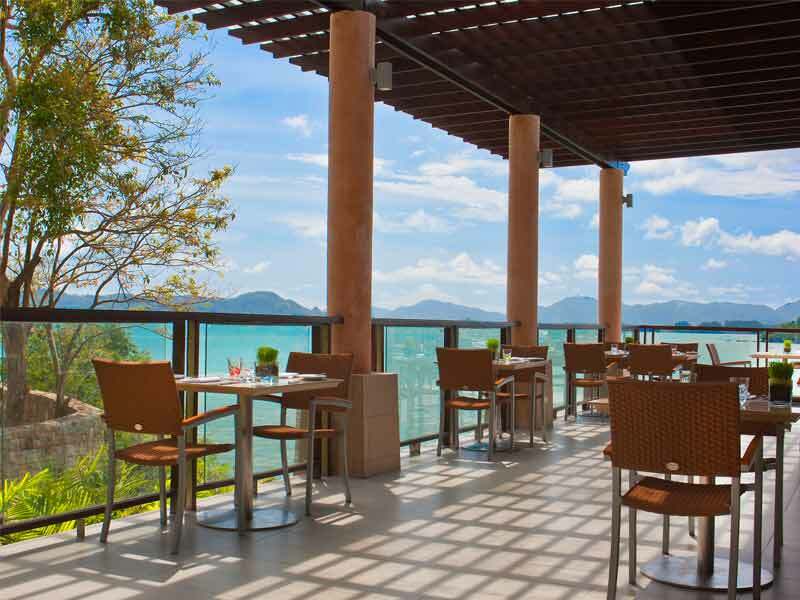 Bask in the sun by day and delight in authentic Thai cuisine by night! 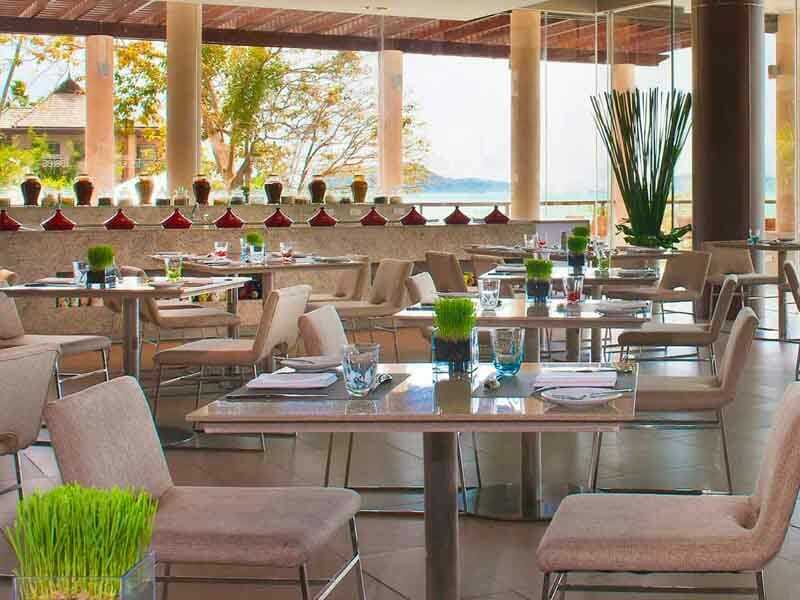 This resort is a food lovers’ paradise offering a bounty of cuisines and cocktails to enjoy overlooking the water. Experience exotic Thai cuisine at Eest, Italian at Prego by the Beach and a mint-lime-rum combination at the Mix Lounge. Take advantage of the resort’s central location and discover local flavours and tranquil beaches nearby. Alternatively, find yourself aboard a luxurious yacht – or speedboat – on a day’s Island-Hopping adventure complete with cave kayaking, snorkelling and a private beach lunch. The Westin Siray Bay Resort & Spa is perfectly placed for a holiday of relaxation and discovery. Why Go to Westin Siray Bay Resort & Spa? 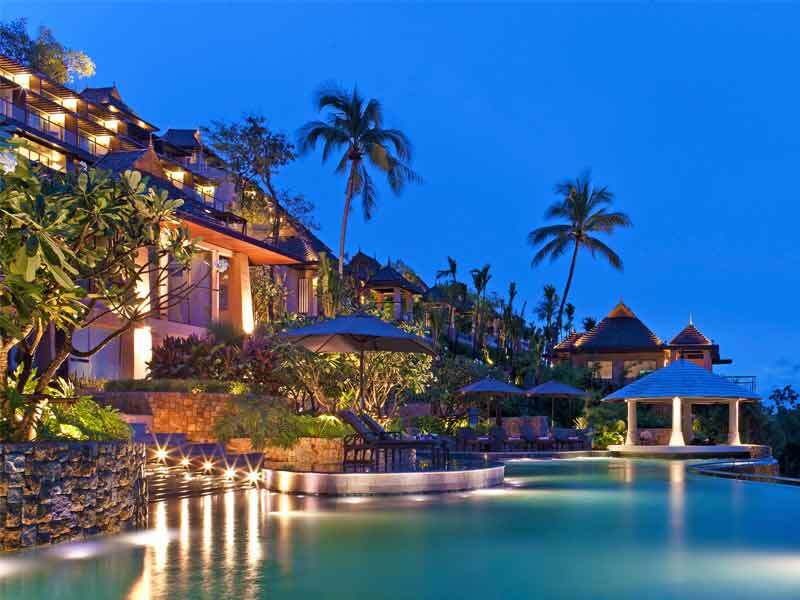 A traveler’s delight, the Westin Siray Bay Resort & Spa promises a holiday to remember. Enjoy sprawling sunset views, a revitalising spa treatment or take a dip in the splash pool – a perfect vantage point to take in the sweeping ocean views below. The opportunities to sit back, cocktail in hand, and unwind are endless; all the while, being close enough to uncover Phuket’s most famous attractions. Contemporary décor with a subtle nod to the surrounding ocean landscape, the Superior Seaview Rooms are a traveller’s dream. Floor-to-ceiling windows invite the panoramic views inside this 58sq. metre space, where you will be sure to enjoy sunsets over the ocean each night. These rooms feature a private balcony, free Wi-Fi, minibar, air-conditioning, bath robes, flat-screen TV and safety deposit box. A modern 50sq. 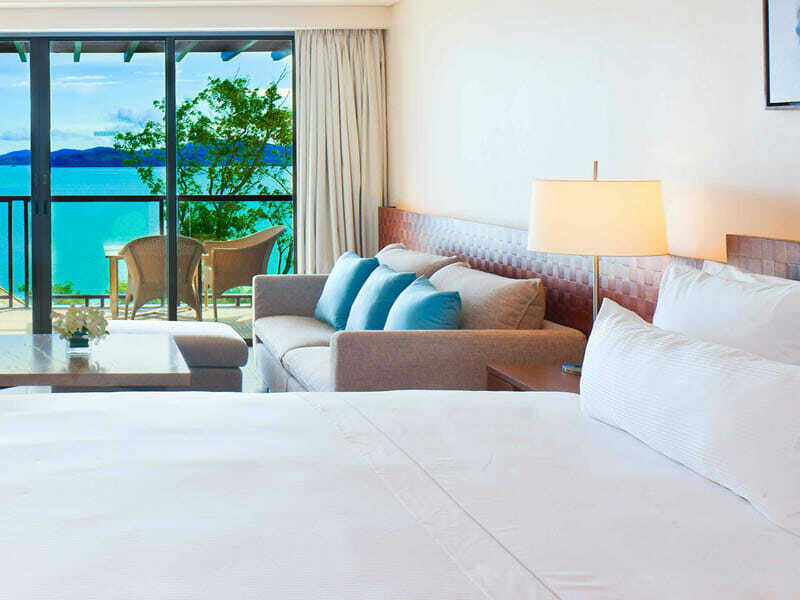 metre retreat, the Deluxe Seaview Rooms promise to amaze with unparalleled ocean views from every angle of the bedroom. The large bathtub accompanied by superior bath amenities makes for the perfect end to a day of relaxation on the island. This room features, 1 King bed, lounge area, private balcony, free Wi-Fi, minibar, air-conditioning, bath robes, TV and safety deposit box. Refresh, rejuvenate and relax! There is nothing better than taking a dip when skirted by such breathtaking scenery. The plunge pool is separated from your 2 neighbours by tempered glass and offers a sanctuary for you to absorb the beauty that surrounds you. The Deluxe Seaview Room with Pool Access features all the luxuries of a Deluxe Seaview Room in addition to a shared plunge pool. A generous 60sq. metre retreat complete with a separate living area, sofa bed, private balcony and a plush King-size bed. Awaken to glowing sunrises and relax to the soothing sounds of the rolling ocean below. A space to fit the whole family, these suites feature sleek contemporary décor, nightly turn down service, relaxing bathtub, free Wi-Fi, minibar, air-conditioning, TV, bath robes and safety deposit box. 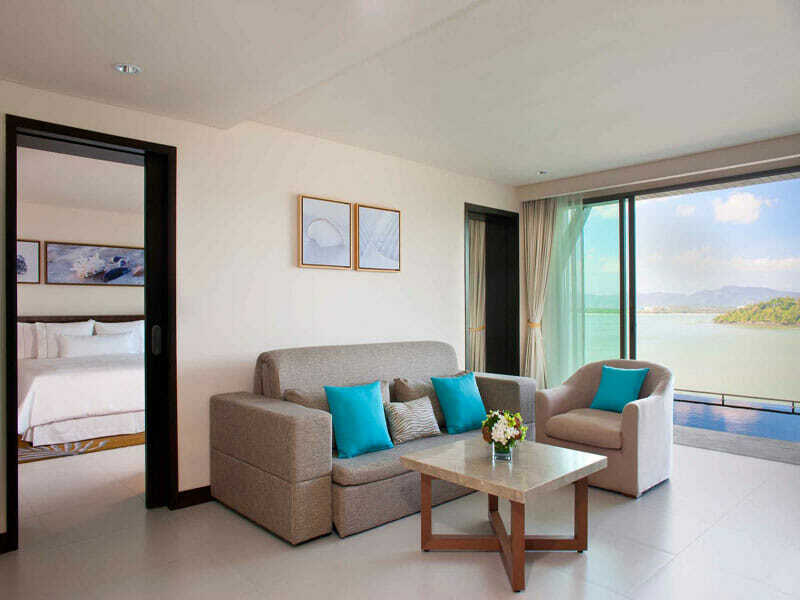 Feel like royalty as you check-in to your Deluxe Seaview Suite with Pool Access. Spread across a spacious 60sq. metres, this retreat features a separate living area, sofa bed, private balcony and a plush King-size bed. Start your day admiring the commanding sunrise over the ocean, relish stylish furnishings, the nightly turn down service, grand bathtub, Wi-Fi, minibar, air-conditioning, TV, bath robes, safety deposit box and more! The luxury doesn’t end there. Cool down, refresh and rejuvenate with direct access to the plunge pool! 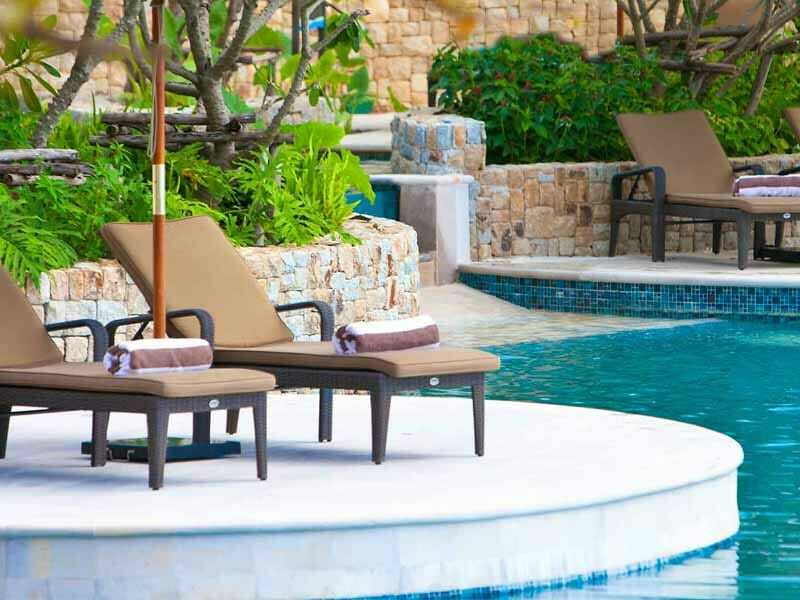 Greet the sunrise lounging by your private plunge pool as the ocean horizon glows pink and orange. 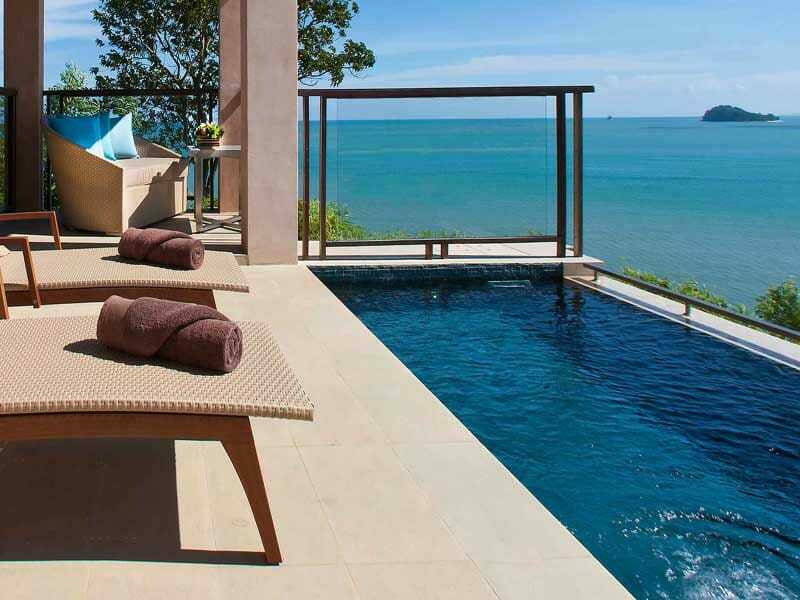 The Sala Pool Seaview Villas promise to revive the soul in complete tranquillity. Enjoy a generous King bed, nightly turn down service, private plunge pool, spacious outdoor terrace, walk-in closet, 46” TV and all the necessary comforts for a luxurious stay at the Westin. 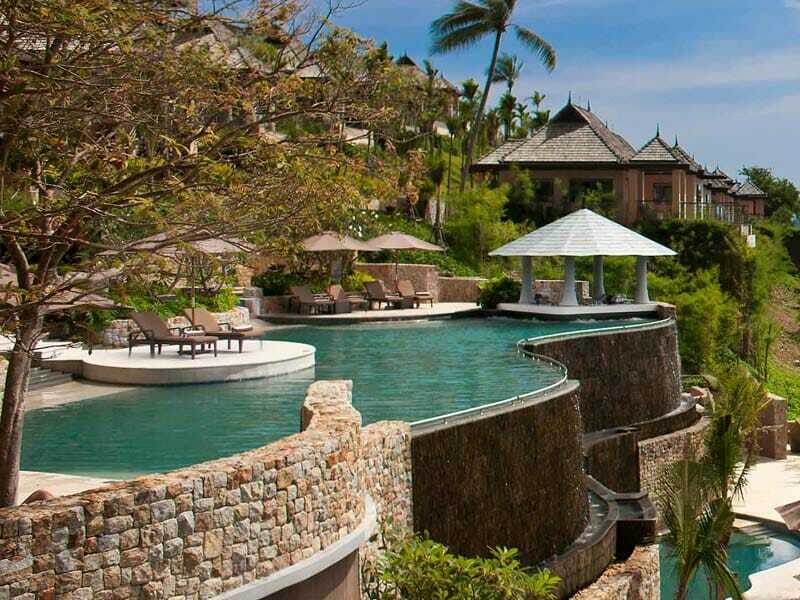 The Westin Siray Bay Resort & Spa is located along the east coast of Thailand on peaceful Siray Island, only a short drive to popular Old Town Phuket. Phuket is one of South East Asia’s most famous destinations and home to stunning limestone cliffs, long sandy beaches fringed by pristine waters and lush forested hills. It is a landscape that will have you in awe and a culture that will leave you wanting more! There are endless ventures to be had at Westin Siray Bay Resort & Spa! The activity schedule is brimming with options from yoga to snorkelling and windsurfing. While there is much to do at the resort, beautiful turquoise waters and white sandy beaches are beckoning you to cruise the Phi Phi Islands. Here you’ll discover 1 of the world’s natural wonders and leave with a camera full of memories! James Bond Island, Phang Nga Bay and Phuket Old Town are also must-see attractions when in Thailand. For a taste of Thai culture, the Big Buddha in southern Phuket offers breathtaking views from the mountain top. Otherwise, Wat Chalong, the largest Buddhist temple in Phuket, might be the cultural immersion you are looking for. 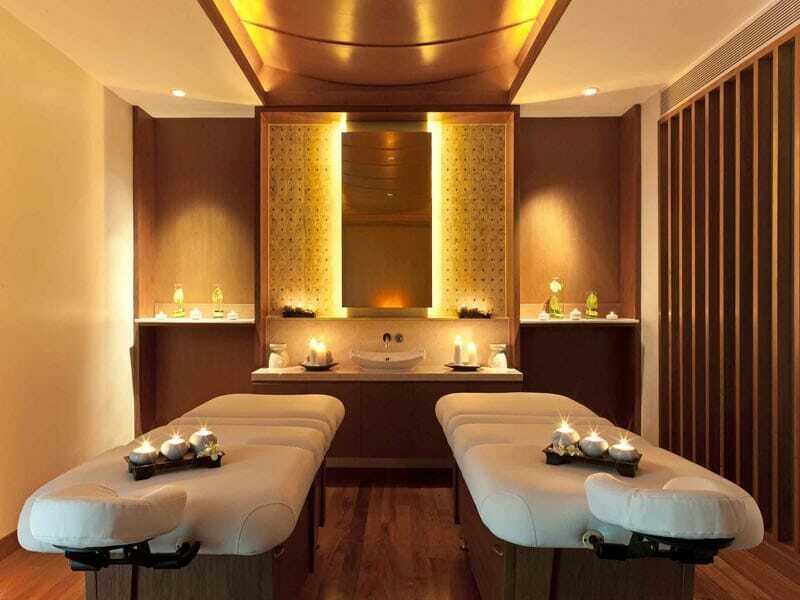 A change of pace will leave you journeying to the Heavenly Spa by WestinTM. Escape while sipping tea before enjoying the remedial touch of a mud bath, the warmth of heated stones and the tranquillity of a facial. 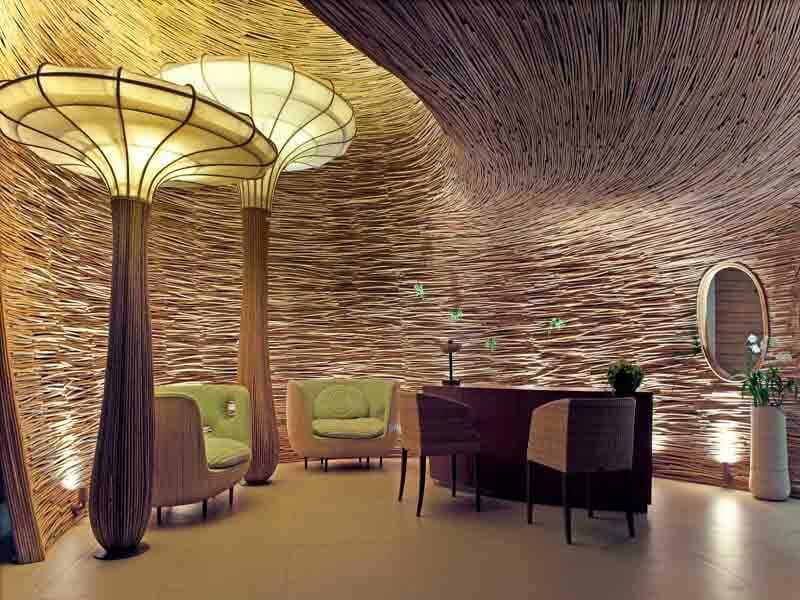 You will leave glowing from the inside-out and feeling completely rejuvenated! We loved our stay at the Westin! This was the best, most comfortable and incredibly decadent stay. We loved the room so much that we stayed in and ordered room service which we enjoyed on one of our 2 private balconies the first night. What a way to pamper ourselves. The door to door golf cart service to get us to our rooms was fantastic. We loved it. As for the food, it was terrific! The breakfasts were world class. Amazing selections of Indian, Asian, and Western cuisines and a superb choice of fresh juices. This was a truly incredible way to start each day!